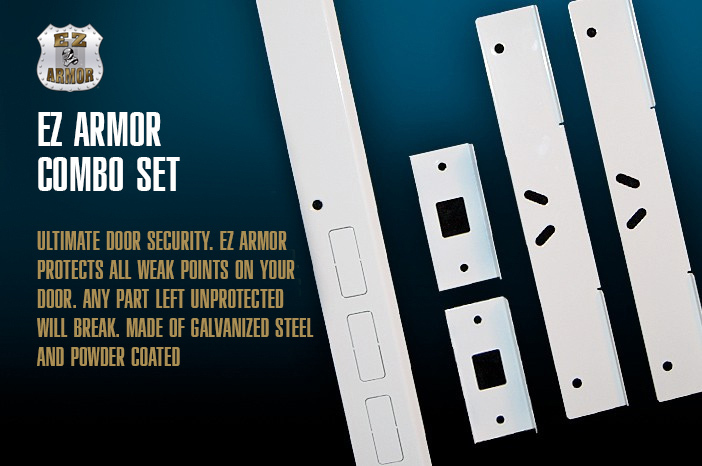 EZ Armor is the most effective door security solution available. What if you could significantly and permanently improve the security of your home, for less than the cost of a tank or two of gas? Would it help to know you could also install it yourself in about 30 minutes? While an alarm will alert you that an intruder is in your home, they do nothing to actually stop an intruder. Alarms work AFTER intruders are inside. The first line of defense is to prevent your home from being permeated. 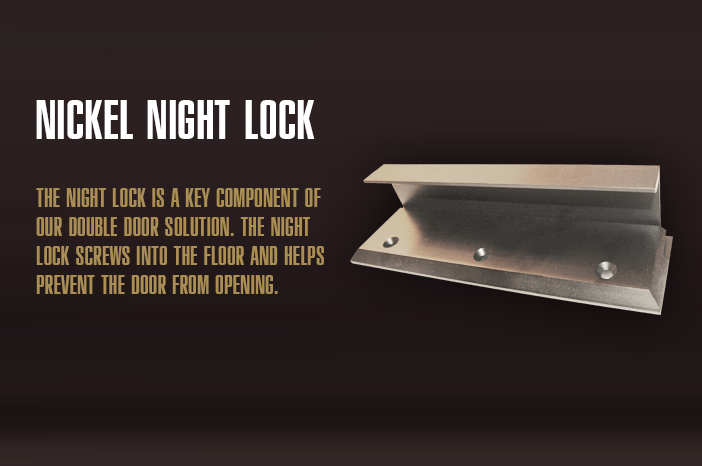 The doors are the most common point of entry in any burglary or home invasion. 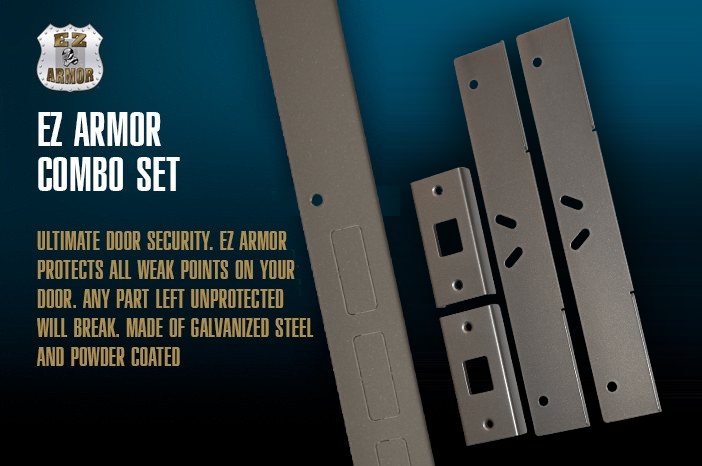 One of the best ways to improve the security of your home is to fully reinforce entry doors, and EZ Armor makes this possible, and affordable. Break-ins happen in all types of neighborhoods, regardless of geography. One of the most terrifying and increasingly common crimes is home invasion, and it’s happening in what were thought to be the safest neighborhoods. 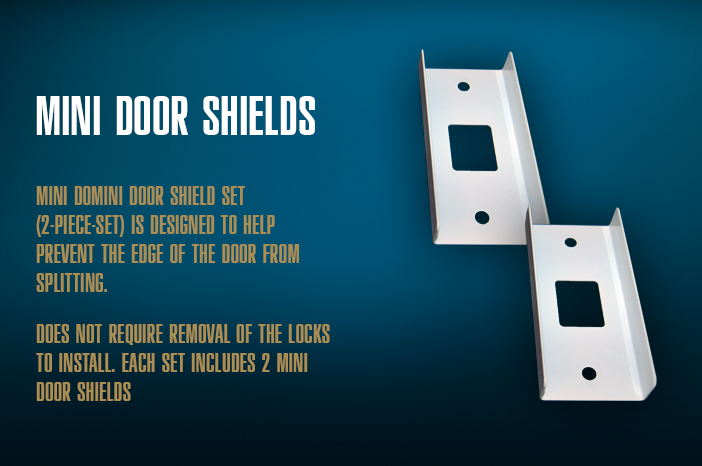 It’s never too soon to add another level of security to your home. 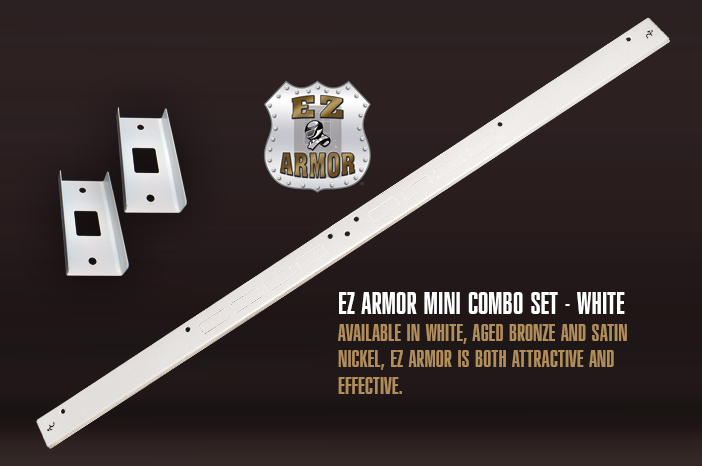 EZ Armor can be delivered anywhere in the USA, and can be installed with a few common household tools… or if you are located in Connecticut, we can come install it for you! Single doors, sidelight, double and sliding doors. *please note: effectiveness can vary depending on structural integrity of the building. Click the link below to order now!! The images below are a sample of what is available. 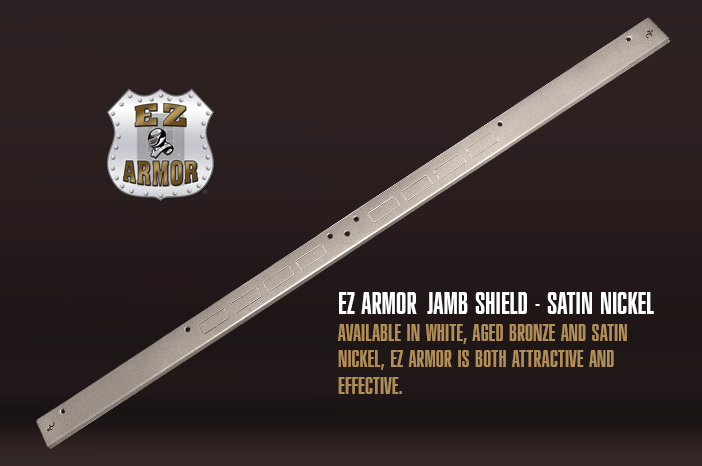 Most items come powder coated in your choice of white, Satin Nickle and Aged bronze to match your door / door jamb but for an additional cost can be custom powder coated to suite your needs – call or email for more information.